Welcome to the dental practice of Heather Bobb, DDS, FICOI! Our caring, knowledgeable, and experienced dental team works hard each day to provide exemplary customer service to help you and your family members have the best dental experience possible. We are proud to offer our many comprehensive dental services to give you the highest quality of general and cosmetic dentistry while also promoting and preserving the most optimum oral hygiene. When you come into our office, you will have a variety of dental options that not only have the ability to restore yours and your family members’ oral health, but will also have the ability to give you the smile you have always wanted! A few of the many dental services we provide for you include Invisalign® braces, CEREC same-day crowns, and laser dentistry. We care about you and your oral health, and we are here to do everything we can to give you pristine and successful dental results. Our practice has been in the area for 8 years, and our friendly and loving dentist plans to serve the community for many more. 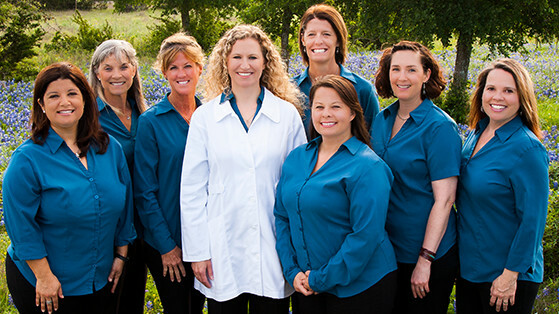 We work hard to provide excellent dental care in Dripping Springs and the surrounding areas of Wimberley, Johnson City, Blanco, and South Austin, Texas, for your convenience! We are also happy to cater to your dental needs by utilizing the latest technology in dental care, including dental lasers, CEREC®, and digital x-rays. To get to know us a little bit better, we invite you to give us a call and continue browsing our website! We look forward to working with you and your family members. Copyright 2019 © Heather Bobb, DDS, FICOI. All rights reserved.